The chapter 262 of Seven Deadly Sins is coming next. Before its release, we have some news, spoilers, and release date. Let’s check what are the latest updates. SDS manga has already in the war arch where humans, Goddess clan, and others are fighting against the Ten Commandments. The idea of the gruesomeness of the Holy War can be taken from it. 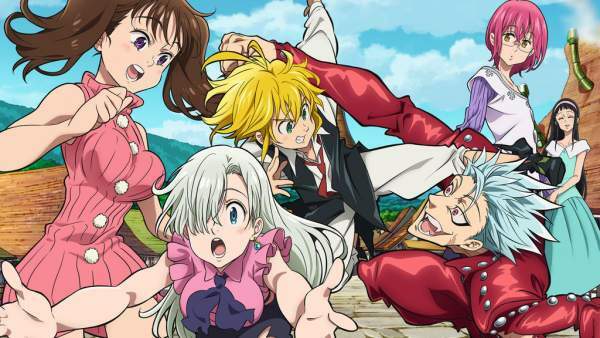 Let’s dive right into the spoilers for Seven Deadly Sins 262. Before it, let’s have its short summary. Estarossa has arrived where Elizabeth and Derieri were at the moment. Ark was used by her on him, but couldn’t succeed due to his darkness’ power. Estarossa was then attacked by Tarmiel and Sariel, but they couldn’t defeat him. Darkness was consuming their host bodies, so they revealed their true form. The broken Derrierie has been left alone amidst a crowd of combatants. As Deathpierce gets an eye on her, proceeds to attack her full of rage. But, couldn’t complete the attack as the sword gets broken. However, it doesn’t matter when the best boy Estarossa comes to save her with his full speed. At the same time, Derrierie and Elizabeth were chatting. Check: My Hero Academia season 3 episode 2. The Commandment comes to know about some foolish soldiers lying on the ground. Then, it goes ahead to clean up with the help of Black Hound. But, the big dog circles around Elizabeth and Derrierie to create a darkness barrier trapping them. Then, women are joined by Estarossa. He states his happiness upon meeting the Goddess and says that he is going to get a decree from Derriere. He also said that he will send her to Monspiet. But, Elizabeth didn’t want to go and tries to stop him using Ark on him. But, it couldn’t withstand against him. In a moment, he breaks the spell with his power of darkness. Then, Archangels are seen taking with Estarossa. Estarossa enquired about Ludociel and Mael. But, he soon remembered that he has killed Mael. Then, the Archangels try to capture him using the Vengeful Saint technique. But, the plan goes in vain. Then, he used Killing Saucer to attack Tramiel and Sariel. The Archangels get trapped with the saucers’ darkness and they fall due to it. Soon, the Archangels get into their true form and breaks out of the envelope. They look somewhat different. Estarossa has been one of the loved characters in the manga series. It looks like, we will get to see Estarossa vs Escanor very soon in the new chapters to come.